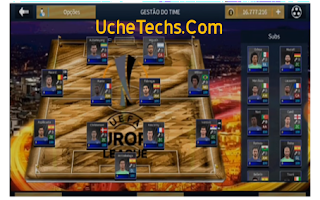 This Article contains a detailed tutorial on how to directly download this Football Game, Dream League Soccer 2019 (DLS 19) Europa League. Many aren't a Fan of this League because of the popularity of DLS 19 Champions League Version, but this doesn't mean we ain't reviewing DLS 19 Uefa Europa League V.
Dream League Soccer 2019 (DLS 19) Uefa Europa League Mod contains the latest Kits for each team participating in the Europa League, it also features the design, Cup design, Stadium Design of the League and the Balls. The In-Game controls contain such textures, DLS 19 Europa League is now in HD with Updated display Screens. 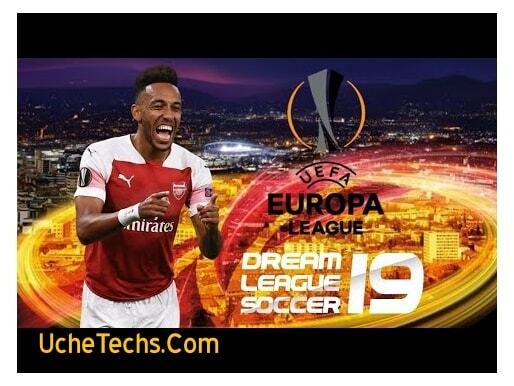 This Dream League Soccer Mod - DLS 19 UEFA Europa League APK, OBB and Data Files direct download Links (Without Ads) has been provided on this post, you can download the game easily and it's for free, DLS 2019 Europa League is just 200MB in Size and the Installation setup is very easy. There are up to 3 Links provided below that contains the Apk + Obb + Data Files. Download all!. The Apk is the Main Game Apk that will need to be installed in your android device, while the Obb file is what makes the game run, it contains the game's controls, and ability to work, the Data Files contains all Mods such as Updated Kits, Logo and UEFA Europa League UI. 4. Ones all have been done, Open DLS 19 App you initially Installed and Play. Note: If you didn't set up the Required Files properly, Dream League 19 Apk Will try to download those files which are highly not recommended, so please follow the tutorial above closely. There are many Dream League Soccer (Dls Mod) Going Viral Daily, this is yet another cool but rare Mod - DLS 19 UEFA Europa League. With tons of Updates like HD Graphics, New Players Cards, Upgraded players and HD Pitch, what stops you from checking it out, enjoy!